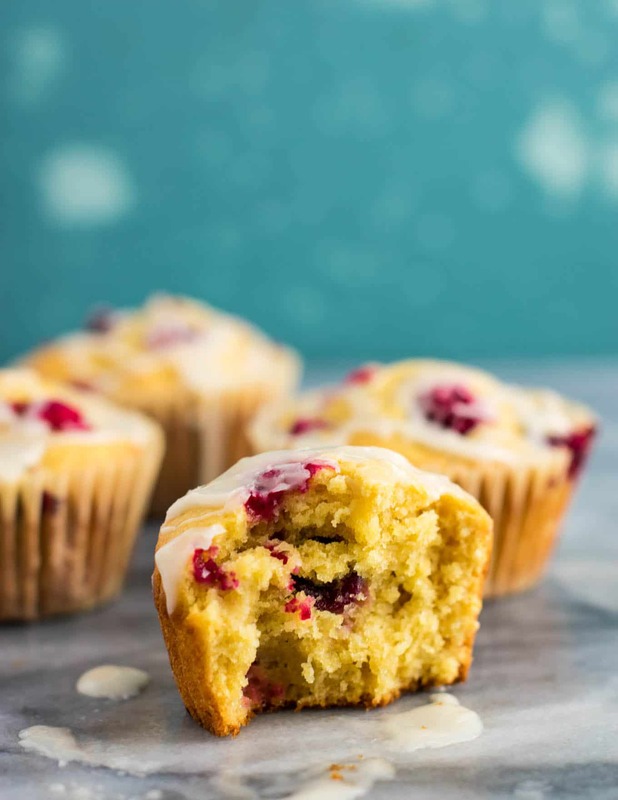 Whole wheat cranberry cream cheese muffins are a delicious and healthier treat for winter time! I made another batch of these delicious muffins yesterday and everyone who tries them cannot get enough. 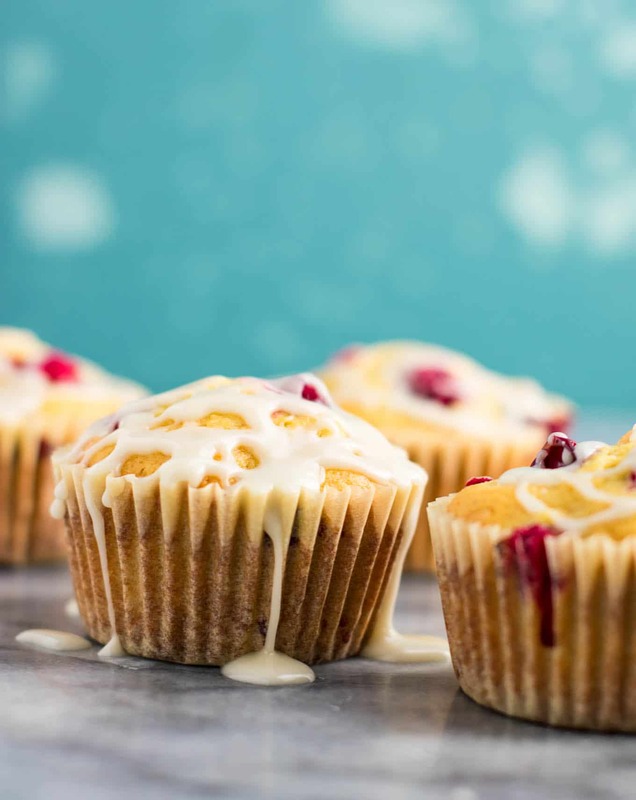 Tangy cranberries and a pillowy soft muffin topped with sweet glaze. It’s heaven in every bite! In a large bowl, beat the softened cream cheese until fluffy. Add eggs and beat well until mixed. Add the dry mixture to the wet, until just combined. Fold in cranberries using a rubber spatula. Line two muffin tins with a total of 24 muffin liners. 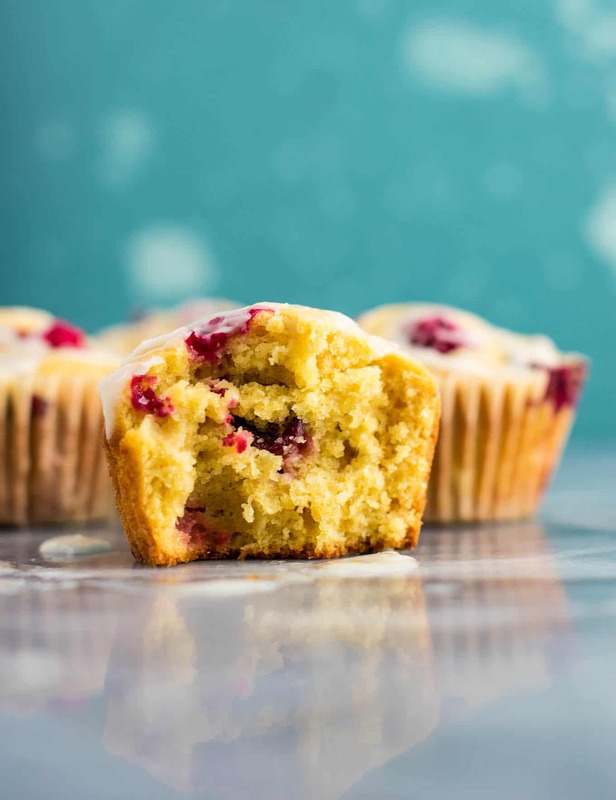 I personally use parchment paper muffin liners and love that they do not stick at all! In a small bowl combine powdered sugar and milk and whisk to form a glaze. 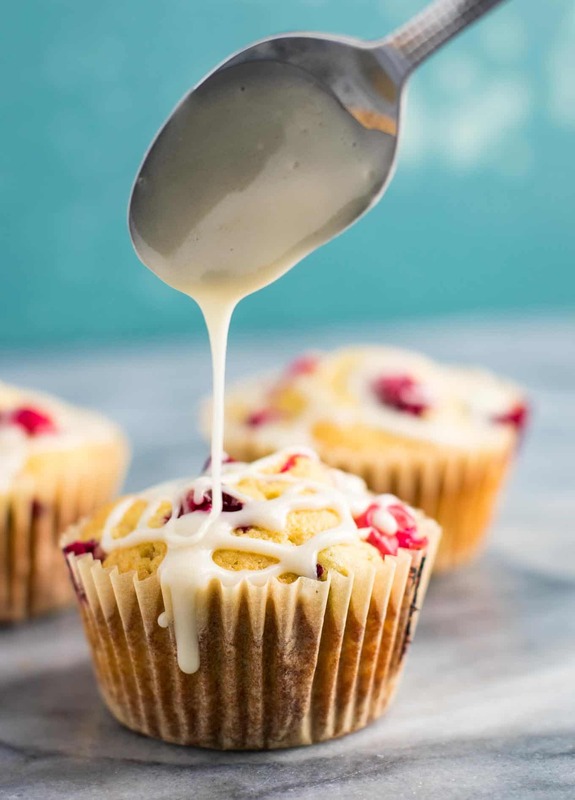 Drizzle over muffins and enjoy! Cranberries are one of those classic fall/winter foods that are so popular but seem difficult to cook with. I used to be intimidated by using fresh cranberries until I made my homemade cranberry sauce. Then I just couldn’t get enough of how fresh and deliciously tangy it was. Cranberries are one of my favorite winter flavors now! 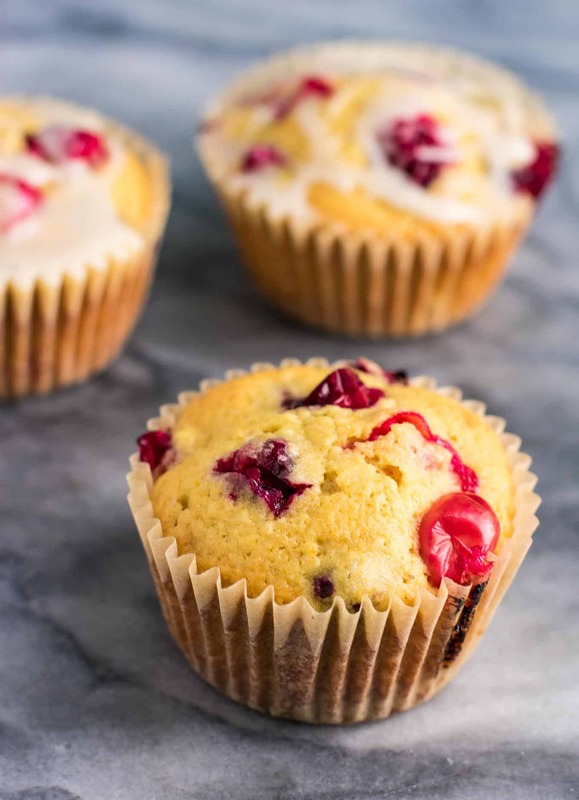 I wanted to create a healthier muffin using cream cheese and fresh cranberries for a delicious breakfast (or dessert) that wasn’t full of bad ingredients that would leave me feeling bad afterwards. These muffins are made using whole wheat pastry flour which gives them a deliciously light and fluffy texture. They are insanely soft and practically melt in your mouth. By no means are these extremely healthy, but they are made with enough lighter ingredients to make them more balanced while still being sweet. 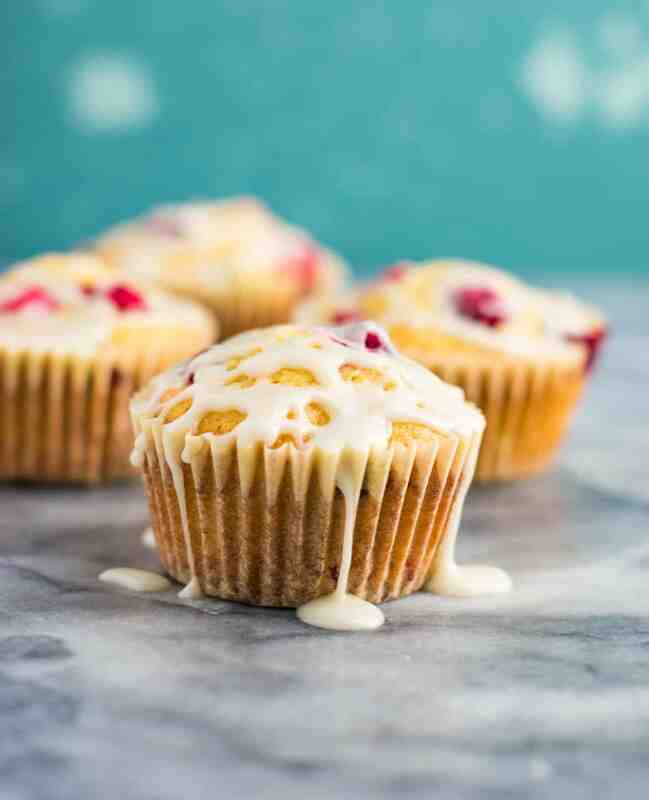 They are not overly sweet, and are filled with bites of fresh tangy cranberries. 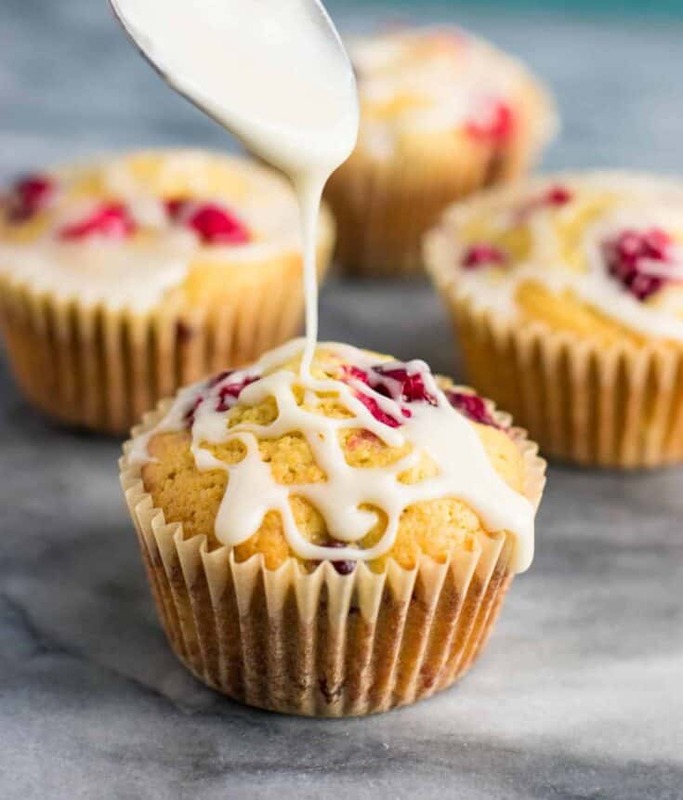 The sugar glaze on the top adds just the right amount of sweet to counterbalance the tartness of the cranberries. These seriously taste like something straight out of a bakery. Your family will be begging you to make more of these! If you want a simple and delicious recipe to dig into before you open Christmas presents, this is it! 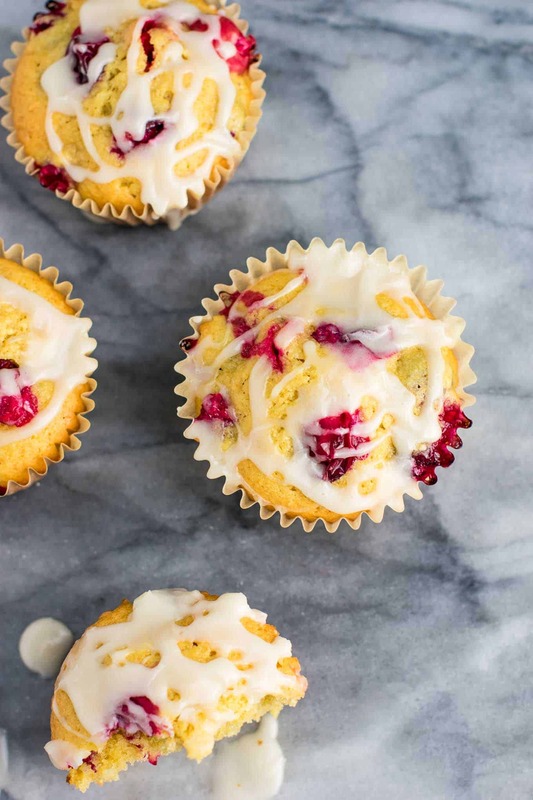 Hungry for more delicious ways to use fresh cranberries? Here are some favorite recipes! 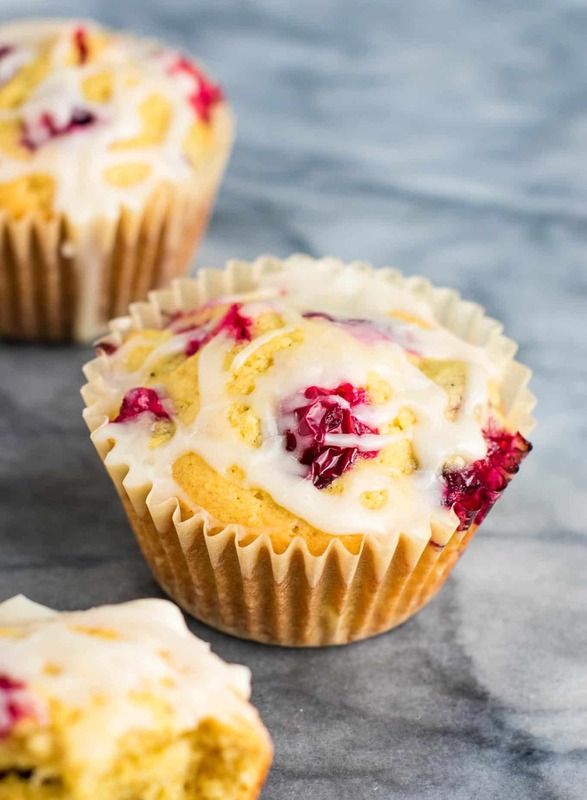 Fresh Cranberry Cream Cheese Muffins with glaze. Our whole family loves these, they are so delicious!